Accord Electrical & Solar have been proudly installing premium quality string inverter solar power systems since 2009. Check out all our happy Sunshine Coast customers on our Testimonials page. Phono Mono 300-Watt Panels. PhonoSolar is owned by the Sinomach/Sumec Group of companies, Sinomach is a Global Fortune 500 company (293). Phono Solar is the Renewable Energy arm of this diversified manufacturing conglomerate that has been manufacturing for the international market for over 40 years. Over 100,000 employees, with over 140 global offices and over $40 billion in net assets, the business group is truly an international performer. 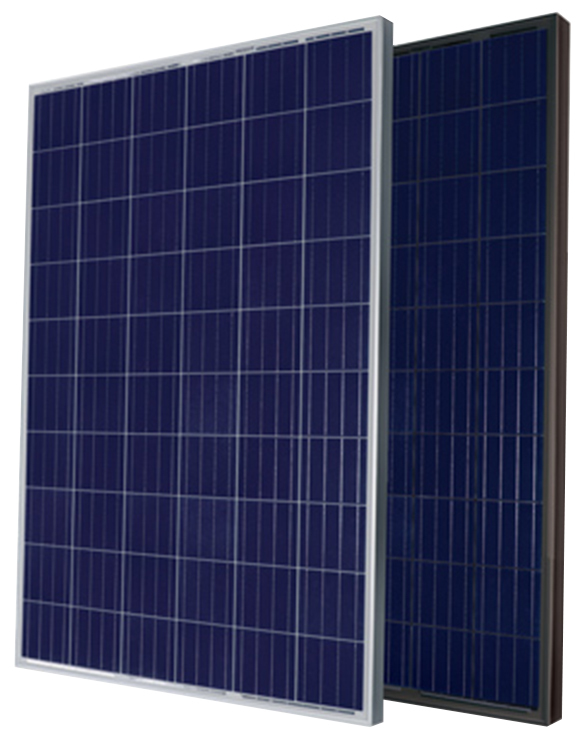 The Phono Mono 300 watt is an elite top of the range high efficiency panel boosting a huge 300 watt per panel with a huge 18.44 % module efficiency putting it in the top hand full of the worlds most elite solar panel. Accord has a long existing relationship with phono and as a result of this we have a massive buying power and ultimately, we pass this on to the consumer providing a high end panel at a very competitive price. In locations like Alice Springs where there are very hot days followed up by very cold nights or in Melbourne where we can experience three seasons in one day, Phono Solar is a top performing panel for all Australian conditions! With over 40 years of experience in managing and supporting after sales service, across hundreds of products distributed globally, this is truly an experienced manufacturing group who really is there for the long term with an Australian office and warranty back service. Fronius is the global leader in innovation and technology .Having a clear vision, an inventive spirit and an ingrained sense of quality, they can keep shifting the limits of what is possible and set the trends that change the market. The advanced technology and sheer quality of the innovative products from Fronius have filled people with enthusiasm for generations, inspiring confidence, trust and satisfaction. Their sustainability is impressive. They boost productivity, increase energy yields and also reduce operating costs. They help our customers to make significant progress and lay the foundations for growth and successful development. Fronius has 28 subsidiaries on four continents – yet they are still the same owner-managed company they have always been, combining the values of a family business with regional roots, with the visions of a global company. Fronius Inverters have a ten year warranty with its head office based in VIC Australia. In Queensland you can expect to get a minimum of 6c-10c per kWh for the exported power while you buy additional power at between 12c (off peak) and 25c (peak – when you need it). Solar systems are much cheaper to buy now than they were in the high feed in tariff days, so solar is an excellent investment. 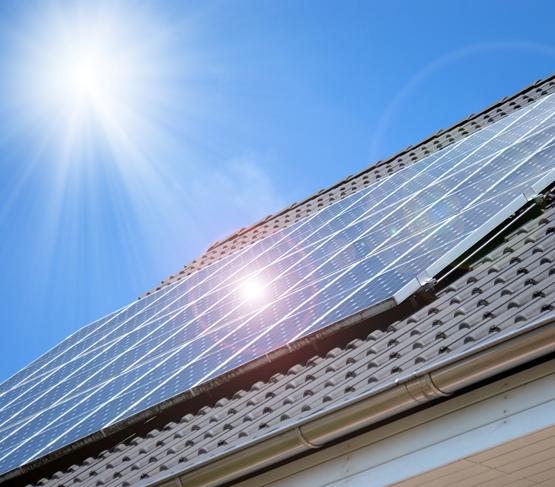 For example, the payback period of a 5kW system in Queensland is estimated to be around 3 years based on average household use and rebates for the system. Each system is tailor made to suit the customer’s individual requirements. Accord will provide estimated savings based the system offered. We only supply quality equipment with a 10 year warranty on the system’s major components and a 25 year warranty on the performance of the solar panels, so you can see it’s a great investment for Accord to design and install your solar system. There is also the new and exciting opportunity to store your excess power production in batteries for your own use later in the day when the sun is not shining, instead of exporting it to the grid. We find that the best way to help you decide which options are best for is a quick discussion and possibly an obligation free quote – call us today on 5438 2382. Fantastic crew. Very professional install and approach. Faultless Solaredge system – offers amazing flexibility, better efficiency and superior monitoring applications. Form initial interaction with Bruce, to site visits and liaison with Brett and Simon, I have been thoroughly impressed. My neighbour has seen the workmanship and quality of the SolarEdge system and is having one installed also. Overall a very easy and professional experience. Cannot recommend enough. Thanks. Just like to thank you and your crew for the effort you have put in for my solar system. Especially for Rob and his off sider for the big day they put in, installing the system on a 30 degree pitch roof. Once again thank you all at Accord. We have recently had Solar Panels fitted to our 15yr old home. It was a big decision for us as we are in our 60’s and wondered if it was worth it at our stage in life. We were very pleased with the information given to us from Bruce. He answered all of my worrying questions. I would like to thank Bruce and the whole team from Accord Electrical on the excellent customer service they displayed in getting my solar system installed in an extremely efficient manner. They were friendly, respectful and definitely exceeded my expectations in making the whole transaction a positive experience. We were happy with how fast we were booked in for installation of our solar system with Accord electrical. We were also happy that when we asked them to throw an extra panel in, They did. Sorry it’s taken so long with the review. We wanted to have our electricity bill before we reviewed, But we can always send in another one after. These guys were local, long experience and have a great reputation. The quote was the best, quality German Inverter and good panels. Installers overruled our initial thinking of splitting the panels to both sides of the roof peak…for good reasons. Nice to have a professional walk you through it. Very efficient and clean install with no dramas, even when I asked them to put the inverter inside the garage. Highly recommend them. I decided to accept Accord because of their willingness to answer questions, consider and discuss equipment and installation options, conduct a second visit to discuss installation and they are a well-established local general electrical contractor. Since installation, they’ve been very responsive to queries to explain and clarify matters. It’s only early days to evaluate the effectiveness of the system but the data seems pretty good so far. The salesperson was delightful, not pushy or arrogant . The installation was painless and the working of the system was explained very well. As an established electrical company I felt comfortable dealing with them. The system we put in seems to be going well – time will tell. I had concerns about the placement of the Inverter. Accord arranged for their head electrician to talk this through with me before w committed to their quote. I felt their knowledge about the products and installation was very applied – not just salespeak. Easier and cheaper than expected – Accord were prompt, gave a lot of information and offer a good back up service. Call 07 5438 2382 to arrange a consultation with one of our expert solar consultants.